Last Thursday, I attended La Grande Dégustation tasting event in Montréal. The theme country this year is Spain. For the country with the largest surface area under vine in the world, I do not devote nearly as much time as I should to tasting its wines. In the past, if given just two words to describe Spanish wines, I would have said oak and alcohol. While this is not entirely untrue, I knew that my predjudice was based on vast over generalization so I decided to spend some time at the show on a tasting tour of Spain. I started in Penedès, with a glass or three of bubbles. Cava is predominantly white (though rosé exists) and made in much the same way as Champagne. The major differences are the terroir and the grapes. In Cava, the native varieties Macabeu, Xarel-lo and Parellada dominate. Just as the right ingredients simmered together create the singular flavour of a delicious dish, each grape brings unique attributes that when blended, make a harmonious finished wine. Macabeu, the main player, is fairly neutral with subtle floral and lemon aromas and a touch of bitter almond on the finish. Doesn’t sound that exciting? Just think of it as the base…like homemade stock before you’ve added any salt or seasoning herbs. Xarel-lo (pronounced cha-re-low) is more overtly aromatic and fuller bodied. Parellada gives searing acidity and pronounced green apple and citrus notes. Bone dry (Brut Nature and Extra Brut) Cava exists, as do slightly sweet, off-dry (Semi Seco) styles. 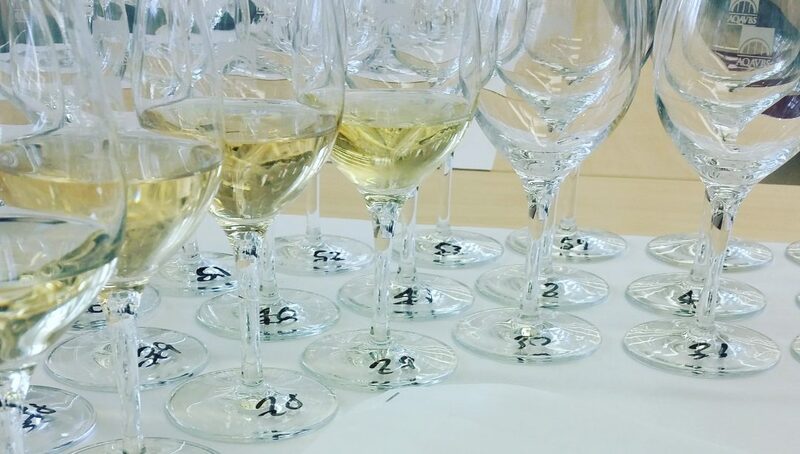 The majority of bottlings however, are Brut – no perceptible sweetness; just fruity and rounded. For the most part, Cava doesn’t have the finesse or ageing potential of Champagne, but it is generally good value “every day” fizz. Just as the right ingredients simmered together create the singular flavour of a delicious dish, each grape brings unique attributes that when blended, make a harmonious finished wine. My next stop was way down south in Andalucía, for some dry Sherry (aka Jerez). If you think Sherry is a sweet, sticky wine only good for cooking or as a gift for your grandmother, drink again. There is a huge range of apéritif styles from the delicate, bone dry Finos to the richly concentrated Oloroso. Dry Sherry is made from the native Palamino grape. What makes it so special is the ageing process. In Fino Sherry, the just fermented wine is fortified to ~15% alcohol, and then transferred to large, old oak barrels filled up 5/6 full. The empty space at the top allows for the development of a film of yeast called flor. This yeast covering protects the wine from oxidation and creates a unique flavour profile of pale, fresh, yet nutty wines with an intriguing salty tang. 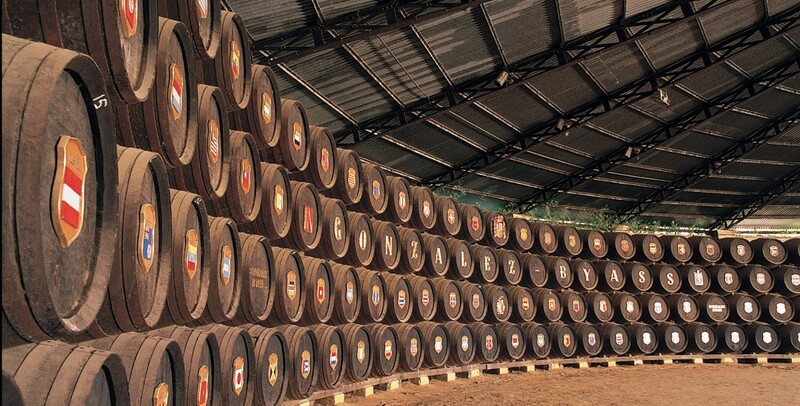 Oloroso Sherry is fortified to 17.5% alcohol; a level at which flor yeast cannot develop. These wines undergo highly oxidative ageing resulting in darkly coloured, powerful, dry whites with intense raisiny, nutty flavours. On to cool, rainy north western Galicia for some lively whites. The Albariño grape (aka Alvarinho in Portugal) is the main variety grown in the coastal Rías Baixas DO. When well-made it is a total hedonistic pleasure to drink: bright peach, apricot and floral aromas, vibrant acidity, light bodied and smooth with moderate alcohol; really juicy and fun. Fleshier, creamy, oaked versions exist that can be totally delicious, but the lighter versions are more common. A 3 hour drive inland takes us to the Valdeorras DO; Godello country. While current plantings remain fairly low in the scheme of Spanish wine output, the grape has seen a surge in popularity internationally. And what’s not to like? The slatey soils of Valdeorras give Godello with pretty apple, pear and subtle peach notes, crisp acidity, full, layered texture and a mineral-tinged finish. Time for the Spanish heavy-weight: Rioja DOC. The pronounced vanilla aromas in Rioja come from long ageing in American oak barrels, bought as staves and crafted by local barrelmakers. Historically, Rioja producers aged their wines for incredibly long periods before release; sometimes upwards of 20 years. Nowadays, the trend is toward fruitier, fresher wines less marked by age and oak. Many wineries are even using French oak, or a mix of both, to give a slightly more subtle, integrated oak profile. Styles are based on grape quality (vineyard site and harvest date) and length of ageing. The youngest wines, called simply Rioja or Joven, are aged less than a year in oak (if at all). The oldest and most prized wines, only made in the best vintages, are the Gran Reservas. They are aged a minimum of 2 years in oak and 3 years in bottle before release. The major grape in red Rioja blends is Tempranillo. It is a bold wine with moderate acidity, bright cherry and leather aromas, medium to high alcohol and big, chewy tannins. The younger wines are generally softer and simpler, while the Gran Reservas are a full throttle experience. In the Ribera del Duero DO, the same grape reigns supreme but offers quite a different taste experience. There are several reasons for this. Firstly because a different clone of Tempranillo, called Tinto Fino, is grown here. Secondly, the high altitude (800m plateau) gives wide fluctuations in temperature from hot days to cool nights giving the wines bold flavours while preserving fresh acidity. Lastly, the supporting grapes are not the same. Whereas Rioja’s second stringers include Garnacha (Grenache), Graciano and Mazuelo, Ribera del Duero blends often include a small percentage of Cabernet Sauvignon, Merlot and Malbec. Roughly the same ageing categories exist as in Rioja. The best Ribera del Duero reds today are dark and inky in colour, concentrated and full bodied with intense, dark berry fruit and mocha notes. Alcohol levels can get quite high here, but the quality wines have enough fruit, body and structure to match. In the Priorat DOC, south west of Barcelona, old vine Garnacha gives rich, powerful red blends. Cariñena (Carignan in France), Cabernet Sauvignon and Syrah are the seasoning grapes. Priorat, with its hot, dry climate and extremely low vigour soils, boasts some of the lowest yields of any top quality vineyards world-wide, at a mere 5 hl/ha (Grand Cru Burgundy = 25 hl/ha). The wines are incredibly concentrated with explosive cherry, tar and licorice aromas. Alcohol is also pretty massive in Priorat, but again, is well-balanced in the top wines. Pretty aromas of pear and brioche, with subtle nutty and floral notes. Zesty acidity, light body and creamy mousse, with a lifted citrus finish. Pleasant, easy drinking fizz. Drinking well now. González Byass, leading Sherry bodega, crafted this beautiful example of an aged Fino on the cusp of becoming Amontillado. Aged for 10 years, the flor has just about run its course, allowing for gentle oxidation. Deep old gold in colour, seductive notes of toffee, walnuts, caramel and marmelade mark the nose. Dry, with crisp acidity, an almost viscous mouth-feel and complex, woody notes on the lengthy finish. Really gluggable; with ripe peach, apricot and citrus aromas. Very fruit-driven on the palate, with balancing acidity. Light and subtly creamy through the mid-palate with just a hint of toasty oak on the finish. This is sure to be a crowd pleaser. *** I also highly recommend Jorge Ordonez more premium La Caña Navia old vine Albariño, as well as his Godellos, under the Avancia label. Totally delicious. Fantastic value from one of the oldest and most reputable bodegas in Rioja. Inviting aromas of blueberry, black cherry, leather and animal notes on the nose. Bold, with a firm yet velvetty structure, fresh acidity, great depth of flavour and big, chewy tannins. Toasty, cedar and vanilla notes attest to the two years ageing in American oak, but accentuate rather than dominate the finish. *** If you want to splurge, the 2005 Gran Reserva is a beautifully complex and layered wine, but I found the oak a little overpowering, slightly drying out the finish. Produced from 100-year old vines from the Finca la Mira vineyard, this Reserva is redolent with floral notes, jammy dark berries, tobacco, leather and hints of mixed spice. Powerful, dense and concentrated with lively acidity and ripe, grippy tannins. The oak plank and cedar notes from 2-years ageing in French oak are a little overpowering on the finish; disappointing considering the ultra appealing nose and attack. Needs further cellaring or a few hours decanting…and a nice steak to soften the tannin and mask the oak.